What a Winter at Charter House! It has been a winter shelter season to remember at Charter House. Busy is an understatement. As we continue to provide warm beds, home cooked meals, and support to get lives back on track, we reflect on the lives we have changed for the better. One way to do that is to count them. This season, all 5 of our upstairs rooms for families with children have been occupied to capacity most nights. And 6 families – with a total of 12 children – stayed with us for a while to get through crisis times, and then successfully moved on to more permanent living situations. 42 adult individual guests who stayed with us in the ground floor shelter for varying lengths of time have successfully moved on to their own apartment, or more targeted care facilities, or to re-join family. And still we are filled to our 20 guest capacity every night. But all those numbers also boil down to one-person-at-a time friendships; as our guests share their life-stories, challenges, and meals and days and nights together with our staff and volunteers. WE WILL BE OPEN ! With the community’s urging, and amazing support, we are planning to stay open past mid-April when we historically closed for the warm months. People need us all year round. We hope you will stay with us as we take on that new challenge. E-mail Samantha at mskachmar@gmavt.net if you want to join our corps of volunteers - which includes our gigantic Community Garden which will begin work soon! Weed - population 20 (or 60…depending if you believe this sign, or Wikipedia) - is a rancher community in the Sacramento Mountains in the southeast corner of New Mexico. In the higher elevations, it might snow in the winter months during the night, but by noon time all the snow is melted away and folks are out enjoying the crisp sunny skies. They have winter in Weed…but not like in Vermont. The response was fantastic!! Here is a picture of Elaine and Michelle getting ready to pack up dozens of hats up to ship to Vermont. And here are Louise and Jane unpacking the hats at Charter House, just in time for the onset of our cold winter season. It is so wonderful that we have so many great volunteers making the Charter House Coalition mission happen – but we can always use more. 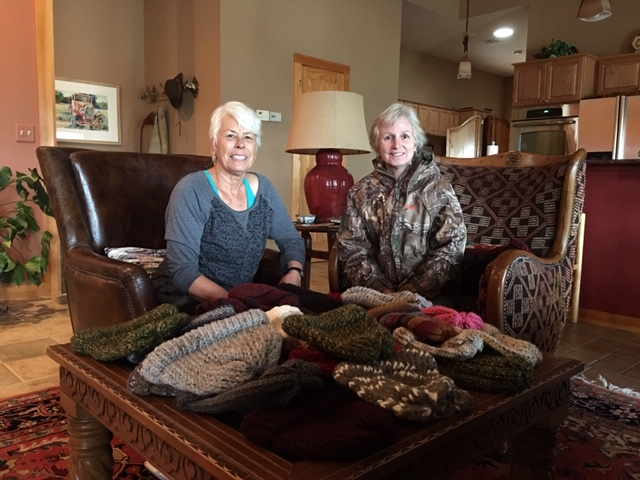 And isn’t it so cool that we now have super knitter volunteers from Weed, New Mexico who made dozens of really warm and beautiful hats in all sizes…even some for our smallest toddlers and infants!! Way to go New Mexico!! Some of our neighbors could use your help! While most of us do not notice them, many of our fellow citizens have been living in tents, cars, under bridges, and under decks this past summer. Just getting by each day becomes increasingly difficult as the colder weather approaches. Thanks to the work of volunteers who maintain and improve the living quarters at Charter House our community provides safe haven, food, basic needs, and a friendly welcome to up to 22 individuals and 5 families. 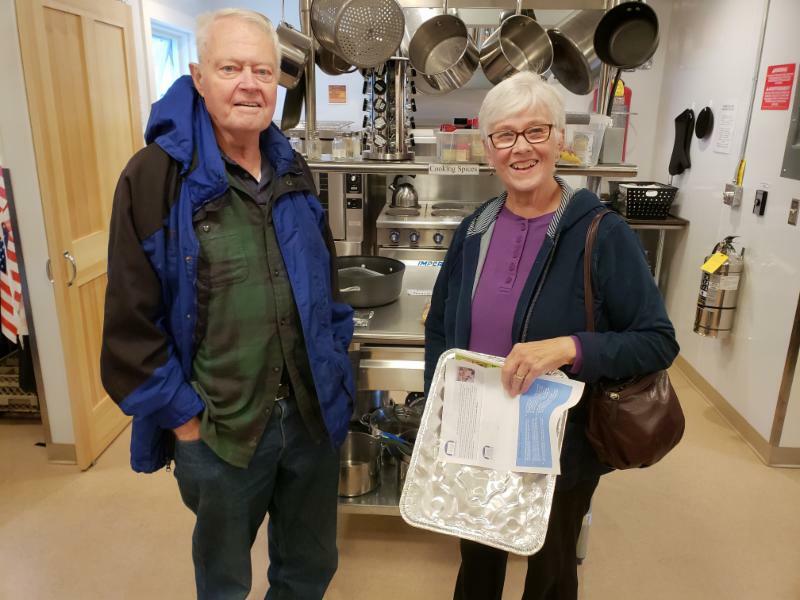 Our shelter and food programs are possible because over 1200 people from Addison County contribute over 24,000 hours of volunteer time, donate thousands of pounds of clothing, prepare 35,000 free meals, and pay for most of the cost of operating and maintaining our programs and building. Open House: On Saturday October 13 from 9:30 to 11:30 am all are invited to join us for refreshments and a tour of the facilities including our new commercial grade kitchen. Board members and staff will be available to talk about our programs and answer questions. The first 30 minutes of these sessions will be devoted to discussing opportunities to support the food and housing programs of Charter House Coalition. For those interested in volunteering to staff Charter House, training will follow the information session and will take about 60 minutes. New volunteers are always paired up with experienced volunteers for their initial volunteer work. It's been a long time coming... but our Charter House website has finally gotten the TLC that it deserves. Stay tuned for updates about our recently launched GoFundMe project, as well as any other news about our Neighbors Helping Neighbors campaign.